Building a home is one of the most exciting and important decisions you will ever make. A custom new home is your personal statement of your lifestyle and values. Selecting the right custom home builder is the most critical decision made building your new home. The right builder can make your new home a dream come true. For over 30 years, Sunwood Development has built an outstanding reputation for quality craftsmanship, honest customer service and timely completion of new home construction. Having built over 250 new homes, our experience and our commitment to communication are what makes us uniquely qualified to guide you through every step. From lot selection and home design to the final inspection and follow-up service... we are there for you! We are so confident in your satisfaction that we offer an industry leading 2-year warranty on our new homes. An advantage of building a custom new home is that you select all the features that best fit your lifestyle, your budget and your family's needs. We have relationships with a wide selection of the finest quality manufacturers and craftsmen so you will be able to personalize your home with options: heating and air conditioning systems, custom mill-work, decorative hardware, cabinetry, flooring, lighting, appliances and much more. You choose exactly what fits your needs best. But there's a more subtle yet equally important variation on that term that's emerging within the home design and building communities. Simply, that new homes today are—by design—better able to adapt to the changing needs of their owners after they've moved in and for years to come. This kind of customization has its roots in areas like the Great Room and so-called "flex" spaces that many builders offer these days. But true customization requires a more thoughtful approach to the floor plan, materials choices, and future lifestyle changes than simply a room or two that allow some flexibility in their use. More dramatically, consider a back room—properly designed—that could eventually evolve from a simple bedroom into a family or TV room, a home office, a rental apartment, or a first-floor master suite as the owners age and tire of climbing stairs to their bedroom. Similarly, a seasonal or long-term storage area adjacent to a second-floor master suite could, over time and if properly designed, become another bedroom or swap with the master bedroom, leaving the former as an upstairs family room or office; the space could also become a private sitting room or home gym for the owners. They say that building a custom home is 'like an eating an elephant'. While building a home is a large task, it's important to remember the benefits in the end. Every project is unique, but the typical process takes between three and nine months to complete. This timeline can fluctuate depending on the size of the home, the level of customization involved, and homeowner involvement. 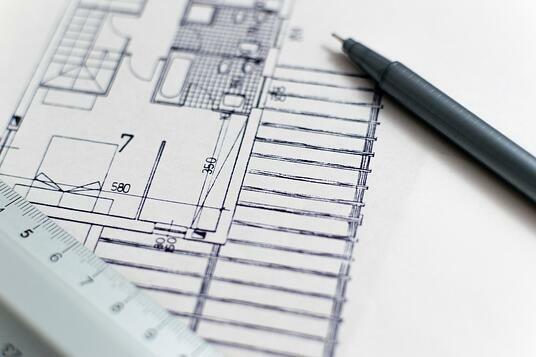 For more information, take a look at our blog: 'How Long Does it Take to Build a Custom Home?' or take a look at our New Home Build Process Page for details on each phase, timelines, and more. With over 20 stunning floor plans to choose from, there are no shortage of options to choose from when it comes to your dream home. Floor plans range from 3-5 bedrooms, in both two-story and ranch style homes. Whether you want to build your home in one of our neighborhood communities, or on land of your own, Sunwood Development has the floor plan to fit your needs. Energy efficiency home design not only helps lower the costs of utility bills, but helps save the environment. We are proud to be an industry leader in building green-homes, building Energy Star rated homes since 1991. We have the experience and skill to build you a home that is not only beautiful but energy efficient. Every home that is built to Energy Star standards is 30% more efficient than the typical new home, helping you save money, and live better in your home.